Calcium chloride is a form of salt with a slightly different chemical composition from that of regular table salt. It is highly sought after in several different industries, because it has a number of important and practical applications. It is known for being soluble in water, and for being an irritant if ingested…it can cause burns on the tongue, esophagus, and stomach. However, this does not mean it has no food uses at all, just that it should not be ingested on its own. If you are interested in the practical industrial uses of calcium chloride, these are the most common ones. De-Icing Roads—This is one of the most common uses of calcium chloride in the world. It depresses the freezing point of water, so it can prevent the formation of ice, and can also quickly de-ice anything that has ice on it. Towns, cities, home owners associations, and individuals with long driveways or private roads are all users of this unique substance for this purpose. In Dehumidifiers—Calcium chloride is the main chemical agent used in dehumidifiers, when people want to remove moisture from rooms or buildings. Road Surfacing—Calcium chloride has a cosmetic use in giving dry roads an attractive wet appearance. It also protects those roads from weathering. On dirt roads, it keeps the roads from forming dust as much as it would without it, which reduces the need for grading dirt roads by about fifty percent. Water Treatment—Calcium chloride increases the hardness of water, which makes it excellent for use in preventing erosion of concrete in swimming pools. That makes it a common water treating agent in pools, as its regular application will keep the structure of the pool in good shape, reduce the need for repairs, and make the pool last longer overall. Food—There is a type of food-grade calcium chloride, though it still should not be eaten directly. When mixed with other ingredients, the chemical composition is altered slightly, and it becomes edible within the food it was added to. As an example, it is used as a firming agent in baked goods quite commonly in the European Union. Elsewhere, such as in the United States, it is used as a firming agent in canned vegetables, in making tofu, and as an electrolyte in sports drinks and enhanced bottled water. It is also sometimes used to flavor pickles without increasing the amount of sodium in them, in slowing the freezing of caramel in ice cream products, and in making soft cheeses, such as Brie, Stilton, and Pelardon. There are many other uses for calcium chloride, mostly in medicine, science, and labs. The most common and well-known use, however, continues to be as rock salt used to prevent ice or to de-ice roads. You will often find bulk and wholesalers of it in this industry, as well as some sectors of the food industry, where you can buy it cheaply without sacrificing quality. 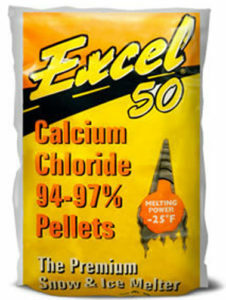 If you are looking for calcium chloride for one of these common uses, shop around for a company with good pricing, good quality, and excellent reputation.